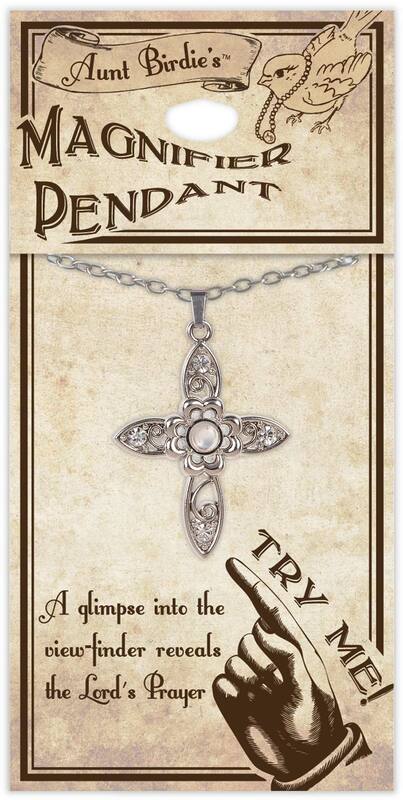 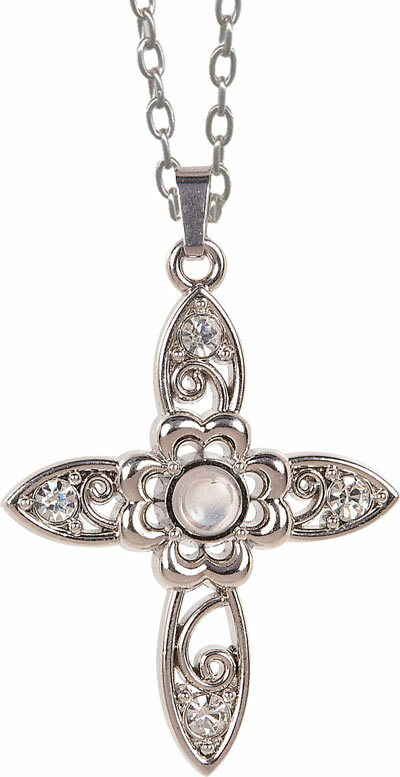 Our Lords Prayer floral Cross Magnifier Jewelry Pendant Necklace features a cross made up of 4 floral designs. 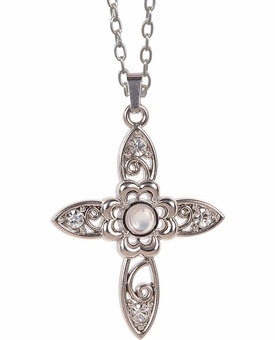 The jeweled center has the Lord's Prayer printed within it. 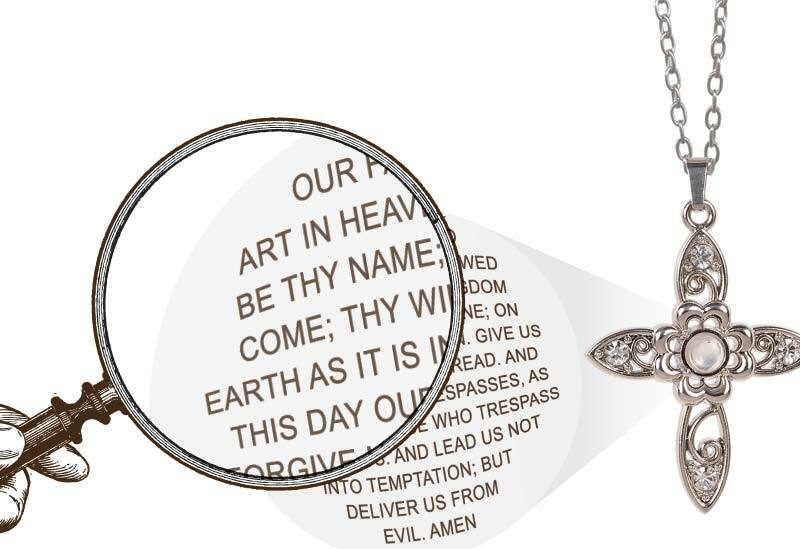 Hold it up to your eye to reveal the entire Lord's Prayer.